"My old Yellow pants!!" -Hayley. 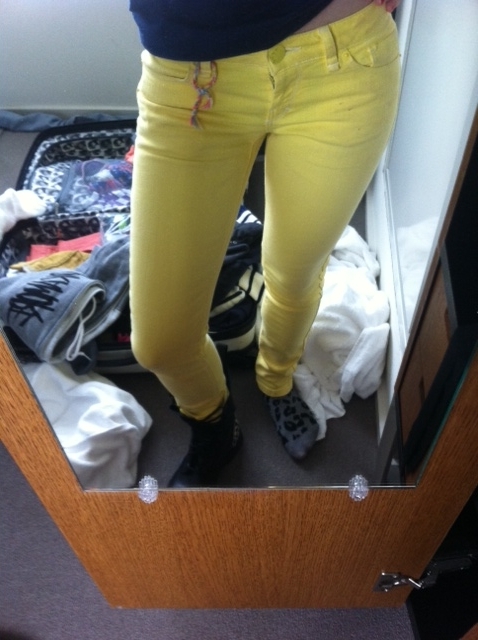 "My Old Yellow Pants!! Circa 2007 ... They Fit A Little Tighter These Days :P" Hayley Williams. Wallpaper and background images in the paramore club tagged: paramore hayley williams 2011 band taylor york jeremy davis. This paramore photo might contain automóvil, coche, suv, camión, auto, carro, sala de estar, salón, sala, living comedor, and habitación frente.